Our food is in danger. Raise your fork against climate change and win a free ride to Terra Madre Salone del Gusto 2018 in Turin, Italy! Three round-trips are up for grabs – these prizes are generously offered by Slow Food USA. 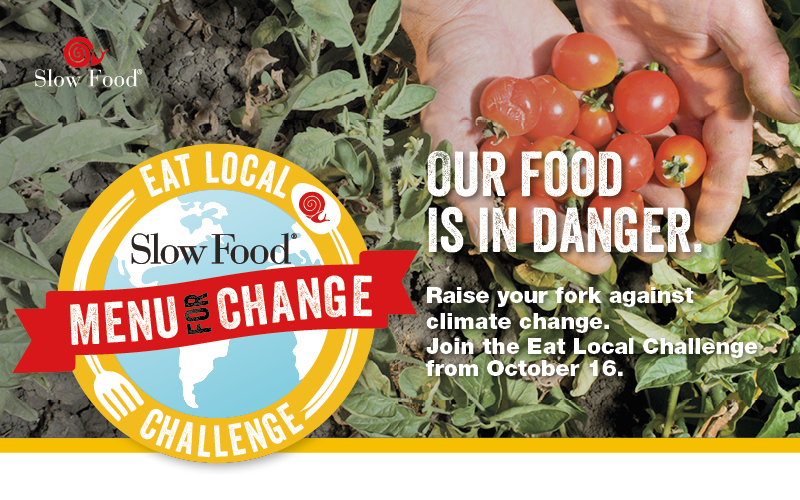 Join the Slow Food Eat Local Challenge from October 16 to November 5. Share photos from your culinary adventures on our Facebook event. Invite your friends too!